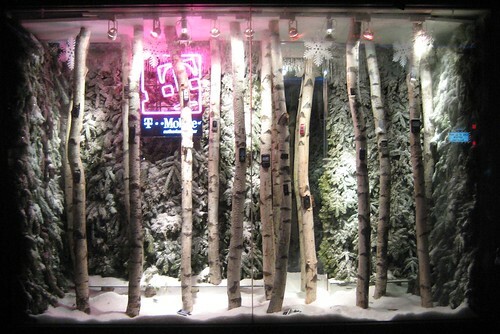 My local phone store's holiday window. See here for the happier days before they started falling off the trees. Published on December 22, 2006 9:00 PM. previous entry: Wow, talk about diminishing the brand!